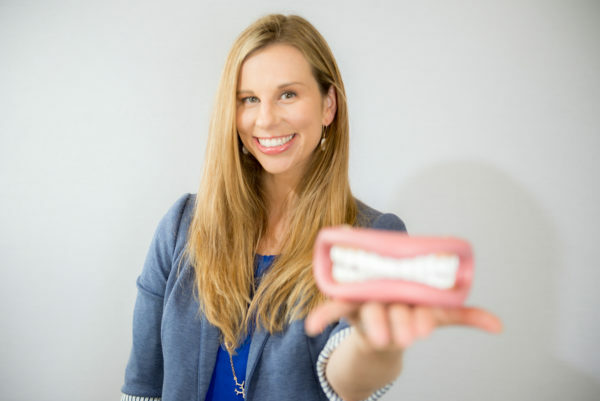 Brooke Andrews, M.A CCC-SLP is a Pediatric Speech Pathologist and Director of The Speech Dynamic, PLLC, a boutique pediatric speech therapy practice in Houston, TX. Brooke has over ten years of experience in the field of Speech Pathology. Brooke specializes in early intervention, speech sound development, apraxia of speech, and language delays. She also specializes in mentoring families with late talking children, developing individualized support programs for families, homes, and classrooms, and providing direct clinical services and diagnostic evaluation. Before moving to Houston, Brooke was a Preschool Speech Pathologist in Durham, NC. In addition to providing speech therapy, Brooke was part of the district’s Preschool Assessment Team, providing speech and language assessments to children ages 3-5. After moving to Houston, Brooke was an Early Intervention Speech Pathologist, working with the Birth-3 population and their families. Through these experiences, Brooke found her passion for working with young children and teaching through play! Brooke is a life-long learner and stays current with new research and therapeutic approaches. Her clinical interests include a variety of specialty areas, including language delays, myofunctional therapy, childhood apraxia of speech (CAS), feeding disorders, and social communication. Brooke holds various certifications including: Hanen Certified in It Takes Two to Talk, Target Word, More Than Words, and Talkability. She is also trained in DIR Floortime and SCERTS. Brooke is the only therapists in Houston to have completed Level 2 PROMPT training and is working towards her certification in the method. Brooke has also completed the Social Thinking clinical training program in Boston, Massachusetts. Brooke has trained with international feeding expert, Suzanne Evans Morris in the area of pre-feeding skills, the foundational skills necessary for a child to be a successful eater. Additional training includes TalkTools and the SOS Approach to Feeding. Brooke has completed the Tetherered Oral Tissues Special Training that involves evaluating and educating families on the impact of tongue and/or lip ties on oral function. She is also a Tummy Time Method (TM) Therapist. Brooke is a member of the American Speech-Language-Hearing Association (ASHA) and The International Association of Orofacial Myology (IAOM). She is a multiple recipient of ASHA’s ACE Award for excellence in continuing education, dedicating a commitment to lifelong learning. In addition to her clinical expertise, she has presented at various conferences, including The North Carolina Exceptional Children’s conference and The R. T Garcia Early Childhood Conference. Brooke has presented to parent groups and teachers on topics such as the power of play, using play to support communication, and supporting early literacy skills. Brooke is the co-creator of “Wiggle time,” an interdisciplinary curriculum for pediatric therapy. She is the VP of Public Relations for Houston Area Communication Disorders (HACD), a local organization for Speech Pathologists. Brooke is passionate about helping children communicate. Brooke is a 200 hour certified yoga teacher and enjoys incorporating movement and mindfulness into her therapy sessions. She is the creator of “Little Omies” yoga classes. These unique classes combine yoga with learning to facilitate speech and language development in children of all ages!